In a recent article in The Guardian entitled ‘The war on history’ Antony Beevor wrote what must be obvious to anyone with an interest in the subject: that history ‘has long been a battleground for the perpetuation of nationalist myths and political attempts to reshape the past.’ Then he adds the good news: ‘in recent decades there have been encouraging developments, with many more international conferences and foreign academics recruited by universities. All of this has helped to reduce the tendency of countries to view the past uniquely from their own patriotic perspectives’. But then he goes on to tell us that this movement is now in decline with ‘governments of all shades still long[ing] to impose their versions of the past through education, pressure on the media and if necessary outright censorship and even legislation. He goes on to cite France, Turkey, Russia and Ukraine as contemporary examples of this. The motivation for twisting historical interpretation to suit current political ends may vary from one country to the next but the result is the same: there are things which cannot be said, or at least must not be said. Could any of this apply to Ireland? Ireland is of course a daisy in the bull’s belly of world history. However, it is a daisy munched by much the same species of bull, if one may be allowed to mix one's metaphors. If so, in Ireland, the problem would appear to lie not with the government, who tend to stay out of these matters for the most part, but rather with more shadowy forces who want to manipulate the historical back-story for their own ends. Beevor’s piece brought to mind a conversation, or should I say, an exchange of text messages I had with a friend back in September. It all started one Saturday morning when he texted me: ‘You figure prominently in the latest edition of History Ireland,’ he said. ‘What’s the gist of it?’ I texted back. ‘“Destructive” might be the best way to describe it.’ So I trotted off to the local Easons. And there it was: the first article of the September/October 2017 edition of History Ireland. It was entitled ‘Gerard Murphy, disappearing Freemasons and the limits of ideological revisionism.’ I was not quite sure what to make of the term ‘limits of ideological revisionism’ but clearly, since I had big words attached to my name and I was named in the title, it must have been something important. The article in question was by Dr Andy Bielenberg of UCC’s Department of History. He was not a happy camper. What’s more, the article also attracted editorial comment from the editor of History Ireland. If the comments were carefully phrased – possibly reflecting the gaze of the legal eagles – they were not unsubtle. The gist of it was that it would appear that I was a creator of ‘alternative facts’, ‘bogus conclusions’ and ‘fake history’. In other words, I was effectively being branded a liar, at least in historical, if not in absolute, terms. What’s more, the ‘bogus conclusions’ I was guilty of arriving at were based on ‘a spectacular misinterpretation of sources’ and of ‘shifting the burden of proof to other historians’. Presumably, I was also one of the ‘certain bloggers’ who ‘persist in pushing a sectarian thesis’. Presumably, also, this was the reason why I was now an ‘ideological revisionist’. And if that were not bad enough, my book The Year of Disappearances had, apparently, a ‘Gothic appeal [which] does not extend to historians, who have slated it in damning reviews’. To make matters worse, the book apparently ‘started out as a work of fiction before being transformed into a work of non-fiction; aspects of the book evidently never quite made the necessary transition’. Clearly I was in a different place to ‘most historians of the Irish revolution who research and access actual evidence’. Phew. I was used to this sort of thing arriving usually courtesy of online cranks and keyboard warriors. And such online distortion can be safely ignored since everyone knows it for what it is. What was new about this latest broadside was that it was written in ‘Ireland’s premier history magazine’ and by a professional historian. But could it all possibly be true? Did I, for instance, research and access evidence that was not actual? Had my book been ‘slated . . . in damning reviews’ by historians? Was it really a work of fiction in the guise of non-fiction? Was it full of fake facts masquerading as history and based on a spectacular misinterpretation of sources, and pushing a sectarian thesis? These are all, of course, big claims and require a response. But far more interesting was: why produce such a diatribe in the first place? And why bother to produce it now, in effect drawing attention to a book that was as good as out of print. And why draw attention to a blog that is safely ignored by 99.9999% of the human population? Because the reality of all this is that, bar a handful of history buffs, nobody is the slightest bit interested in these endless and tedious historical debates. For the overwhelming majority of people, this is the equivalent of counting angels on a pinhead. So why stir the pot of a non-event? While initially I could not quite figure out the reason for it, the clear intention was to do as much damage to my reputation as possible. I could see why Bielenberg might be so intemperate. He could, for instance, be simply taking revenge for my criticising his Cork Spy Project, which he published along with Irish American academic Professor James S. Donnelly in 2016, a criticism that was entirely justified on the basis of what was being produced in the project. But why would the editor of History Ireland step back from his role as impartial judge and wade into the fray? I knew over the years that his advice to correspondents was to avoid any tendency to be snide and to try to avoid playing the man, rather than the ball. So why was he doing exactly that now? I was as confused as anybody else. However, I was left with little choice but to address the issues. Otherwise, I would be conniving in the damage to my own reputation. And all one has, at the end of the day, is one’s good name. So what follows is an analysis of the various charges set out against me. I suppose I should have done this years ago. But as Bob Dylan said: ‘You have to pay to get out of going through all these things twice’. Clearly, you also have to pay if you don’t. The substantive issue in Bielenberg’s article relates to the alleged disappearance of Freemasons in Cork in 1921/22. This has been dealt with in detail in a previous blog (November 6th 2017) and need not concern us here. That blog also deals with the supposed issue of ‘shifting the burden of proof onto other historians’. Suffice it to say that Bielenberg exhibited such audacious double standards in his article that taking his arguments apart was as easy as ripping toilet paper. There is nothing to see here, other than the standard historical practice of sifting evidence as far as it goes and then hoping that one’s research will stimulate others into following it up – a practice employed by Bielenberg and by most historians. The writer of an investigative book has to stop somewhere. Otherwise, no history book would ever be finished. Researching and accessing evidence that was not actual? I don’t think anyone can seriously claim that the evidence accessed in The Year of Disappearances is not actual evidence. To the best of my knowledge, there is not a single piece of spurious evidence cited. In fact, the main fault I find with the book is that there is too much evidence and that the book tries to cover too many bases. On the other hand, there is hardly a sentence that does not cite some source, all of which can be verified by any historian who wishes to go to the trouble of doing so. There are 41 pages of citations and notes at the end of the book and they are all . . . well . . . actual. This canard was first given life by Sinn Féin’s Niall Meehan in an online review when the book came out. I never bothered to rebut it since it was clearly propaganda and was an effort to stir the pot; indeed it was so transparent that it looked like a joke. However, when respectable professors of history and ‘Ireland’s premier history magazine’ repeat it in print, the whole thing becomes more sinister and calls to mind Goebbels’ dictum that if you repeat a lie often enough it eventually becomes the truth. So now it has to be addressed. What the preface to The Year of Disappearances actually says was that I had written a novel based on the operation of Sing Sing, the underground vault used by the IRA to hold prisoners prior to execution during the War of Independence in East Cork. This was based on the experiences of a number of my relatives who helped guard prisoners in Knockraha and dig graves under Martin Corry’s command. What happened was that one of the publishers to whom I submitted the novel suggested that I tackle the disappearances of people in Cork as a historical project, something that I was extremely reluctant to do. She did not suggest that I rewrite the novel as non-fiction. The novel was finished at this stage and did not get re-written into anything. The editor in question then moved to another company and half a dozen years later Gill & Macmillan eventually published the final historical work under the title The Year of Disappearances. So the suggestion that The Year of Disappearances is some sort of a rewrite of a previous novel is specious. It is a convenient fabrication, and to prove that this is the case, all one has to do is read the two. 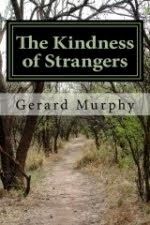 The novel, which I had to publish myself, is called The Kindness of Strangers. They have little in common other than the fact that both are set in the War of Independence, and the early chapters of The Year of Disappearances deal rather quickly with Sing Sing before moving on. What we have here is simply a piece of propagandist distortion being repeated. This is the most interesting point since it brings us to the heart of what is actually going on. However, in order to look at this it is necessary to go back over the reception the book received when it was published. Furthermore, most people reading this will probably not have read The Year of Disappearances, so perhaps a brief summary of the book itself will not go astray. What the book did in essence was to pull a variety of skeletons out of the historical closet which had remained undisturbed for nearly a hundred years. The first section of the book deals largely with Knockraha and ‘Sing Sing’, the underground vault used by the IRA in East Cork to hold prisoners prior to execution. This might sound Gothic but the book rather quickly skips over the details – primarily because I had already covered them in the novel. Indeed, it approaches the claims made about Sing Sing with no small amount of scepticism. Sing Sing served largely as a departure point to look at the many cases of disappearances that took place in Cork during the revolutionary period. The substance of the book was the so-called ‘intelligence war’ between the IRA and British forces in Cork city. This involved looking at the strengths and weaknesses of IRA and British efforts in Cork and looking – insofar as it was possible to look, given that such material is by definition murky – at those who were shot in the city as spies. Almost 40 individuals suffered this fate. Most of these were ex-soldiers. Six were Protestants, though another six Protestants – whom we are sure of – were killed in the city and environs during the Truce and Civil War periods. One of the myths the book demolishes is the idea that an Anti-Sinn Féin League (ASFL), consisting of a cabal of Protestant business people was targeting the IRA in the city. These ASFL were in fact undercover police and military assassination squads – something that is proven in some detail in Chapters 14 and 15 of the book. Probably the most important person in the book is Florence O’Donoghue. O’Donoghue was head of IRA intelligence in the city and was therefore at the very centre of this ‘intelligence war’. His claim that nobody was shot as a spy unless sufficient evidence had been found to convict him is belied by the fact that British records of the time state that only one of those shot in the spring of 1912 was in fact a spy – and he was an unreliable one. And this is not just a single claim: the IRA’s inability to target the right person is a theme repeated many times in both police and military correspondence during the first half of 1921. There is a clear disparity here, one that had been all but ignored by those historians who want to paint a rosier picture of the conflict. Central to the story is the fate of James and Fred Blemens. These were neighbours on the Old Blackrock Road, Cork of Josephine Marchment Brown, O’Donoghue’s future wife. The Blemenses were lifted in late 1920 and were never seen again, having been shot as spies by the IRA. Two and a half months later, James Beal, James Blemens’s son-in-law, was found shot dead in Wilton on the outskirts of the city. A recent TV documentary on the subject suggested that British Intelligence in the form of the Blemenses were ‘closing in’ on the O’Donoghues, so they had to be killed. The fact that the O’Donoghues and the Blemenses lived only two doors apart, and that Florrie O’Donoghue appears never to have been suspected by the British, suggests that if the Blemenses were spies, they were spectacularly incompetent ones. Three members of one family are killed; one of the most senior officers of the IRA, who is known to the British since his name appears in a report from late 1920, lived two doors away – O’Donoghue appears to have moved in by this stage – and the British do not seem to connect the two! If James and Fred Blemens and James Beal were spies, they were not making much of a fist of it. The book then looks at a number of disappeared teenagers, all of whom had connections to either the RIC or the military and who were probably working as runners or spies of one kind or another. Among them were at least three Protestants members of Cork YMCA, William Edward Parsons and Thomas Roycroft and one other I have become aware of since who disappeared, almost certainly killed by the IRA. Parsons is a central figure in the book since John Borgonovo in his Spies and Informers book written a few years before mine suggested that, based on the accounts of several city IRA men, it was the capture of Parsons that led to the subsequent apprehension of the supposed ‘circle’ of Protestant spies. Borgonovo’s thesis was that these constituted the Anti-Sinn Fein League of alleged ‘spies’ – notwithstanding the fact that the ASFL moniker belonged to another body entirely. When I established that Parsons – who was indeed a 15-year-old member of the YMCA – had been abducted and shot a year later, in March 1922, that meant that if there was any truth in the suggestion that it was his confession that led to the capture/execution of the alleged ‘spy ring’ this must have taken place on the spring of 1922 rather than in the spring of 1921. There is a severe paucity of information in the latter period since the IRA was by then in control of Cork and was imposing its censorship on the press. It is not possible to establish the extent of what happened. However, what we do know is that Thomas Roycroft disappeared on 9 March 1922, William Parsons disappeared on 20 March and, in between the two, on 17 March, no fewer than seven different newspapers report the further disappearance of six ‘prominent citizens’ who are described only as ‘supporters of the Treaty’. Who these were or what happened to them remains unknown. It is, however, at least plausible to connect all three episodes. (The third YMCA boy who had connections to the army was also abducted during the Truce period.) Clearly the IRA men backdated the killing of Parsons and the others to make it look as if it had happened during the War of Independence – probably to confer the respectability of wartime on it. It was also clear from Valuation Records (Rate Collection Records) that there was a large turnover of the Protestant population of the south-east suburbs of the city, mainly in the Blackrock/Douglas areas, over the revolutionary period. This was not evident in other parts of the city. A lot of Protestants left suddenly. This could not be described as ‘ethnic cleansing’ or anything like it since in many cases they were replaced by other Protestants, and some of the departed Protestants came back after the Civil War was over. What it did imply, though, was that something nasty happened to Protestants in the south-eastern suburbs of Cork city in 1921/22. There were some other important facts presented in the book. The identity of two of the more significant British spies in Cork is one of them. There is an entire section on a British army round-up at Rathanisky House, a few miles outside Cork, which was down to the work of a British undercover agent, a Mrs McKay, who, though a Protestant, was not shot as a spy, even though it appears that the veritable dogs in the street knew that she was one. Another was O’Donoghue’s cousin and employer, Michael Nolan, who had long been an RIC informant and who was similarly not executed, though it is also clear that his work was known to members of the IRA. My book then attempted to establish from British compensations records the likelihood that someone was a ‘spy’ or otherwise. If someone received 100 percent compensation from the British government – rather than 50:50 or 100 percent Irish compensation, this meant that, in the opinion of the RIC and the military, they were deemed to be ‘British supporters’, that it to say people whose loyalty was to Britain. If you want to find those who passed on information, you are likely to find them among this group, and unlikely to find them among those who received 50:50 or 100 percent Irish compensation. The latter were not deemed to have been loyal enough to merit full British compensation since the RIC – who were consulted in these cases – either had no reason to believe they were loyal or because they had no information to that effect. In other words, those who received Irish compensation at either 50:50 or 100 percent are unlikely to have been ‘spies’. Although this is outlined in some detail in Chapter 53 of The Year of Disappearances, this has not prevented a host of more recent historians from claiming that any kind of compensation suggests that someone must have been a spy. Since most civilians who lost their lives were compensated by one or other or often both sides, this would mean that they must all have been spies. Clearly this is impossible since, if this were the case, it would mean that there were almost as many spies as there were combatants. The fact that most had ‘spy labels’ attached to their bodies should be treated with similar scepticism. Ironically, there was even an example of this in the same edition of History Ireland – a prize-winning essay by a young man from County Cork. The essay, which is very evocative of the time and deserved its prize, contains one striking claim – which may not be the fault of the young man in question since it appears in a separate box. In the case of one David Cummins, an ex-soldier and a Protestant and who was shot in County Tipperary in 1921 as an alleged ‘spy’, the box claims that Cummins’s mother received £600 from the Compensation (Ireland) Commission and that liability was ‘agreed 50/50 in terms of British responsibility. This compensation’ – or so the box tells us – ‘makes it more likely that he was a spy.’ In fact, it does the opposite, since what it implies is that when the RIC was consulted about the case, they could not establish whether or not he was a British supporter. Yet this spurious claim has been repeated as fact in the case of many civilian deaths by historians such as Pádraig Óg Ó Ruairc, Barry Keane, and Andy Bielenberg and James S. Donnelly right throughout the Cork Spy Files. Is it any wonder that the young lad got a bum steer? In short, I don’t think you could call any of this ‘Gothic’. It is mere investigation. So by writing about all this was I in fact pushing a sectarian thesis? In other words, what has all this got to do with sectarianism? Not an awful lot, I would have thought, other than the fact that Protestants constituted a significant subsection of IRA victims in Cork. The book was about espionage, not sectarianism. The word sectarianism does not even appear in the index – which, by the way, I did not compile. And what has it to do with ‘the toxic legacy of the Northern Ireland troubles’ which, apparently, has ‘cast a long enough shadow over the discipline’? Considering that Northern Ireland gets only one mention in the book – in the context of the targeting of Protestants in the Free State in 1922 which was often in retaliation for attacks on Catholics in Northern Ireland, something that the IRA themselves claimed at the time – this seems a rather excessive claim. Even David Fitzpatrick, in his review of the book, viewed it as a ‘missed opportunity’ to look at sectarian motivation behind the killing of Protestants. What I was interested in was who was working for the British or otherwise, and whether or not the IRA was justified in killing the people they did. Of course, it is possible to put a sectarian interpretation on events. The Protestants of the south-eastern part of Cork city did not flee for no reason. There had been plenty of mutual suspicion between members of the main churches for centuries. Mutual sectarianism was part of the way of life in much of Ireland at the time, especially rural Ireland. But if this is a marginal issue in the book, why has it got these commentators so riled that they are prepared to attack me in print for something that is only tangentially related to the topic in question? This, I believe, is the real question. Slated by historians in damning reviews? The Year of Disappearances contained a lot of embarrassing historical detail that many people did not want to hear, particularly those who would prefer a whitewashed version of Irish history. What I was trying to do was open the door for further research on these topics. What has happened, of course, is that in some quarters every effort was now made to close the door again. If a historian lifts a stone and finds a snake under it he has a duty to describe that snake. If he put the stone back and quietly walks away and pretends the snake does not exist he becomes so compromised he should probably not even call himself a historian. Yet this kind of thing has been going on for decades in Cork. When the book came out, it caused some controversy but not a great deal – at least not from people who were interested in the truth. In East Cork, for instance, where I expected a negative reception, I got praise from almost everyone I spoke to or who contacted me on the topic. Everyone knew appalling stuff had gone on around Knockraha. They also knew nobody was talking or writing about it. The general feeling was relief that at last someone was prepared to tell the truth about one of the uglier aspects of our history. Omèrta was being broken. People knew that human remains lay under the furze and briars of the Rea. This needed to be said and not glossed over as some people have been trying to do ever since. With every tranche of the Military Pensions applications being released, more details of this are emerging. To say this never happened or that almost nobody was killed is, apart from anything else, to brand an entire parish and a company of the IRA as a pack of liars. People living in that area know the truth. So what about the claim that the book was ‘widely slated’ or, as Bielenberg put it, ‘damned’ by historians? It is true that the reviews were mixed, but, as we shall see, this merely reflected the position of those who ‘reviewed’ the book, most of whom had an axe to grind. But what about all these ‘highly critical reviews’ by ‘prominent historians’? Let’s begin by defining what is a historian. There are many definitions. It might be anyone who writes a history book. But, for the sake of argument, let’s make it simpler; let’s put it in its narrowest context: that a historian is someone who has a degree in history – that would of course preclude me and very capable historians such as Tim Horgan, Meda Ryan, Tim Pat Coogan and a host of others, but that’s not the point. I presume members of the History Department at UCC would agree that an honours degree from that department would enable one to call oneself a historian. In that case the ‘slated’ argument goes immediately out the window. Because the first person to review the book was Eoghan Harris and he has an honours degree in history from UCC, as does the second reviewer of the book, John Paul McCarthy, who, in addition, holds a PhD in history from Oxford. Both are native Corkonians, a significant advantage in reviewing a book such as this one. Of course they are dismissed as ‘revisionists’ by the little Green men, but any historian worth his or her salt should be a revisionist if he/she is open to new evidence. Both Harris and McCarthy were generous in their praise of the book. And therein lies the problem. Because it immediately become apparent that the very fact that The Year of Disappearances got a positive review by Eoghan Harris in the Irish Examiner and an equally positive one from McCarthy in the Irish Independent meant that I had walked right into the crossfire of the war between Eoghan Harris and republicans. The latter hate Harris and this war had gone on for years before I inadvertently stumbled into the fray. I knew right away that being praised by Harris meant that, by definition, I was going to be attacked by those who disagreed with him. I did not have to wait long for the counter-reaction – from which I went on to learn all kinds of new and intriguing things about myself and the book – things like those repeated above by Andy Bielenberg. Next up was Niall Meehan on a variety of websites – though his bird finally perched on The Irish Story website. Meehan first treats us to a potted history of Ireland, in which ‘the residual Six County statelet of Northern Ireland’ figures prominently, with sectarianism and denials of sectarianism being the catch phrase at every hand’s turn. He goes on to link me with Peter Hart, who, apparently, ‘invented evidence and misrepresented archival material in order to establish his case’, a charge that would soon be directed at me. Of course, Hart, a Canadian and another of these foreign ‘anti-historical’ historians, did no such thing. What he did do was list sectarianism among the factors that had a bearing on who was targeted. He merely went looking for the truth – truths that people like Meehan did not like – and for this, his name continues to be blackened. Yet anyone who knows anything about the Ireland of fifty years ago and further back will know that where disputes were concerned, sectarianism – on both sides – was never far away. Anyway, Meehan went on for fully 35 drivel-laden pages in which all the major findings of the book were ignored in favour of minor fault-finding or, in many cases, fault-creating exercises. No hyphen or inverted comma or lack thereof was ignored. The book apparently contained ‘no list of primary sources’ and just a ‘thin bibliography of published material’. In fact, as we have seen, it contains 41 pages of primary sources and some 160 works are cited in the bibliography. The book – once again – ‘began life as a novel’ and ‘should be treated as fiction until better evidence is available’. What An Sionnach Fionn and Niall Meehan had in common was that they spent more time on criticizing Eoghan Harris and John Paul McCarthy’s reviews than they did in looking at the book itself. It was as if they were looking into a mirror and seeing a distorted image of themselves. So determined were they to deny any hint of apparent sectarian motive that they ended up seeing it everywhere. Padraig Óg Ó Ruairc who also reviewed the book along similar lines, said: ‘Murphy believes that the IRA abducted teenagers from Unionist families during the conflict to put pressure on the British.’ This is daft stuff and bears about as much relation to what is in the book as black does to white. So what about the professional academics who reviewed the book? With one notable exception, it became quite clear that most of these had a republican agenda and set out to try and do as much damage as possible in an effort to counter Harris’s and McCarthy’s praise. 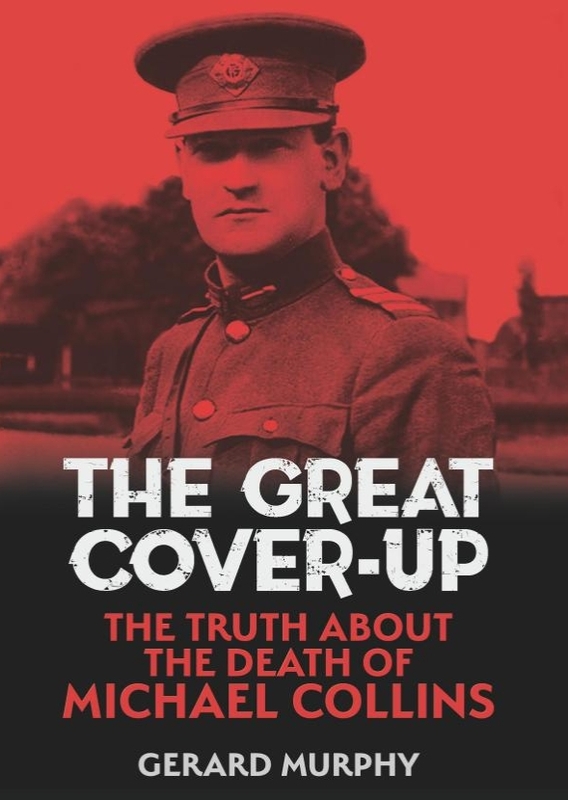 There was a problem though: how do you ignore all the elephants in the room, the actual information the book contained, from Corry’s death chamber to the date of Parson’s abduction, to O’Donoghue’s employer and cousin being a British agent? The answer was either to ignore the evidence or damn it with faint praise on the basis that much of it was supposedly known already – which it was not. And of course you could also distort it. Nic Dhábhéid’s review was not entirely negative however. After all, it is a significant creative achievement to dismiss a book as detailed as The Year of Disappearances without looking at the evidence. I should have ignored the review. However, and this was a big mistake, I wrote to the Irish Times when I would have been better off to keep my trap shut, suggesting that I thought the review was politically motivated. The newspaper published the letter several weeks later, leaving out the offending sentence. But then, almost as if to prove that I was right, Niall Meehan was in right away to back up Nic Dhábhéid – a phenomenon that happened so often with so many ‘reviews’ that the whole thing resembled a sort of daft Punch and Judy show. What I was to learn was that, by some mysterious alchemy that was I never quite able to get a handle on, I never seemed to get the last word in any of these ‘debates’. The end result of all of that was that I decided to start this blog as the only way I could see to get the truth out. So if the editor of History Ireland and others complain about ‘certain bloggers’, they have nobody to blame but themselves. This is a very interesting claim because when I was researching the book I went to considerable trouble to try to find the rolls books of Cork Grammar School for the period. Considering that at least three Protestant teenagers went missing, it seemed at least logical to see if this had any effect on Cork’s leading non-Catholic secondary school. Eventually I tracked down the rolls and they were in the possession of another historian who was then carrying out some local history work in Cork. When I contacted her – we have friends in common – she was able to tell me that the records were intact except for the period from 1912 to 1926 for which no records survive. The distinct impression I got was that this was the only gap. Biagini states that he got his piece of information from Dr Ian d’Alton, who has something of a track record in trying to minimize the sufferings of Protestants in the South of Ireland. Knowing how nasty some of these debates become, I did not want to drag my friendly historian into it, so I did not respond to Biagini’s claim at the time. However, I have no reason to believe she was lying to me. The only other academic to review the book and one whom I would have expected to be broadly supportive was Professor David Fitzpatrick of TCD. I think it is fair to say that he disliked the book but more for reasons of structure, language and pedantry than anything else. His review was largely an effort to throw me under the bus in an attempt to defend Peter Hart from the circulating vultures. Again, he managed to avoid mentioning any of the real findings of the book, comparing it to the work of Tim Pat Coogan, managing in the process not only to get in plugs for his own work, but promoting his wife’s work as well – even if the book did ‘contain a great deal of detailed and interesting information’ and ‘drew together many unexpected connections between disparate documents’. ‘More systematically than any previous student, [Murphy] has revealed the ubiquity of serious factual errors and self-justifying distortion in much republican testimony such as that collected by the Bureau of Military History or [by] Ernie O’Malley.’ ‘Murphy has produced something more original, more probing, more scholarly and altogether more exciting’. I guess it was a case of finding something for everyone in the audience. Still, Fitzpatrick has more than made up for this by replying to Bielenberg’s recent attack on me when he showed that Bielelberg’s own figures, when you subtract the numbers of ex-soldiers killed, show a distinct sectarian bias of IRA attacks on Protestants, even in the pre-Truce period. You win some, you lose some. And David Fitzpatrick did make one pertinent point. He claimed the book was ‘hurried history’ and in a sense this is true. There is always the fear that when you find new evidence, particularly if it is of an explosive nature, someone else may have got there ahead of you. If it was perfectly obvious to me, for instance, from reading their Irish Grants Commission applications, that Bridie McKay and Michael Nolan were British agents, then it would have been perfectly obvious to anyone else. There are many instances in the book where my biggest fear was that someone would beat me to the punch and publish all or parts of this material before I would. After all, there was nothing to stop people catching a cheap flight to London to find this material – and it’s even easier now with a lot of new material coming online. If you’re merely gathering uncontroversial data – say for some academic treatise – you can afford to take your time, wallow in the habitual, the banal, to borrow Patrick Kavanagh’s phrase. But if you are working in a controversial field where you know others are working, then there is always a fire under you. This of course has its own dangers: that you overheat the pot and burn the dinner. However, the alternative is to wait. And how long do you wait? Maybe the right thing to do is to wait until you are pushing up daisies. However, that it not much of an option – particularly in a situation where others are producing distorted historical ‘facts’ to suit their own agendas. And if you’re pushing up daisies, they’ll take that as an opportunity to dance on your grave – pace Peter Hart. So it was a case of publish or die. And so it went on: people who had their own dog in the race either praising the book to the skies or damning it to hell, while mostly ignoring the facts. Interestingly, the article that most accurately reflected the actual contents of my book was by Mary Leland in ‘An Irishwoman’s Diary’ in the Irish Times – probably the fairest thing anyone has written on the book and the closest to its spirit. But generally? Of course the book was ‘universally panned’ – by those who set out to universally pan it. However, the real test of a book such as The Year of Disappearances is the support it got from readers, particularly from readers who had a reason to be interested in it, such as those who had family connections with the revolutionary period in Cork. I was contacted by people whose family members had disappeared, by relatives of my own and neighbours whose forefathers had been involved in running Sing Sing, by the families of RIC men, army men and IRA men, some very prominent. I have a file of this correspondence, all of it positive. As recently as last summer, a man came up to me in a bookshop in Cork to thank me for finding his grandfather. Elderly people who were still alive at the time contacted me to pass on what they had remembered from the period – some of which has led to further, very interesting research. One elderly Protestant man, who has since died, phoned to tell me that it was pretty much accepted in the Protestant community around Blackrock that Protestants were being fingered and as a result many of them fled. The net result of all of this is that I am being accused of pushing ‘fake news’ and ‘alternative facts’ when it was clear that I was right all along when I stated in my previous blog that it was my accusers who were doing exactly that. This is simply part of a prolonged campaign, first against Peter Hart and now against me, in a vociferous attempt to deny that anything that might even be vaguely construed as sectarianism ever happened. In other words, what is going on is precisely what these supposedly ‘objective’ historians accuse others of doing: allowing contemporary Northern concerns to influence historical interpretations, a case of the political tail frantically wagging the historical dog. This is where the real ‘ideological revisionism’ lies; this is applied history and a particularly virulent strain of it. Russia, Turkey, Hungary, Poland, Ukraine, France. You can add Ireland to that list, if it is not on it already. The Guardian Review, 3 February 2018. Aimsir an Ghatair, TG4, October 2012. John Borgonovo, Spies, Informers and the Anti-Sinn Féin Society: The Intelligence War in Cork City 1920-1921 (Dublin 2008).